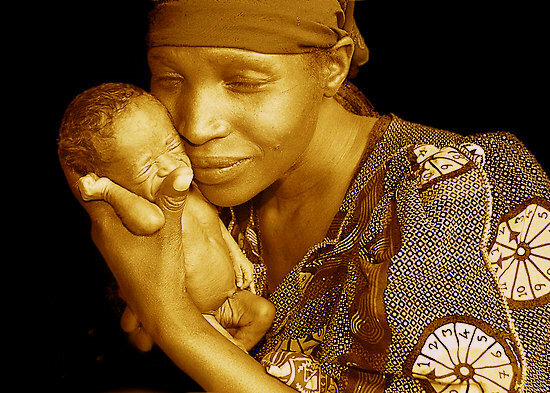 Alice Furaha, 22 years old, was five months pregnant when she fled her home in Eastern Congo last May. When she arrived at the border in Uganda, Alice was taken to the transit centre in Kisoro and eventually transferred to Rwamwanja settlement camp in the Kamwenge district. Having experienced a still birth just last year, she was now worried about the risks of delivering in a refugee camp. In the past eight months, fighting between the Government and the M23 rebel group in the Eastern part of the Democratic Republic of Congo (DRC) has intensified. On 26 August Alice delivered a healthy baby boy at Fort Portal regional referral Hospital, about 80 kilometres from the settlement camp. “When labour pains started, I went to the Ramwanja Health Centre expecting that everything would be ok,” Alice recalls. “I was shocked to be told by the midwife that I was going to be referred to Fort Portal Referral Hospital because my baby was in distress.” Luckily, an ambulance of the Uganda Red Cross Society was mobilized with support from UNFPA so that Alice could be transferred and receive the care she needed. She was lucky, because ambulances are in short supply. In a period of one month, four babies perished because women could not get emergency care quickly enough. In those cases, fortunately, the mothers survived. However, when the only available ambulance was busy taking one woman to the regional referral hospital, another emergency case had to wait for more than six hours to receive care. Empowering women through access to family planning means that mothers and infants are healthier, families are more financially stable, and communities are stronger. Although family planning has traditionally been a gender-based issue, it’s not too hard to realize why improving access to women’s health care, especially reproductive health care, is in everyone’s interest. That is why the United Nations Population Fund (UNFPA) has become a strong proponent of engaging males in the family planning process. “Real change and lasting solutions for empowering women and girls can be considerably enhanced by actively involving men and boys,” noted Dr. Babatunde Osotimehin, Executive Director of UNFPA. Central to empowering women, and helping their families more generally, is access to family planning services. Services giving women the ability to decide when and whether to have children allow individuals and couples to avoid unintended pregnancies and are key to reducing maternal mortality around the world. While male involvement may increasingly be part of women’s reproductive health programs, men have not always been considered an integral component in family planning programs. UNFPA, however, has long supported male engagement in women’s reproductive health and in gender equality more generally. The agency was the first to issue guidelines for engaging men in gender equality in 2000, and in reproductive health specifically in 2003. In 2007, UNFPA identified the engagement of men in gender equality as one of its six priority areas for shaping its work around the world. When the time came for 24-year-old Jane Atieno to deliver her second child, she sought the services of a traditional birth attendant rather than the local clinic so she wouldn’t have to be tested for HIV or agonize over how to tell her husband that health workers wanted him to attend her antenatal check-ups. “At home, nobody will bother to test your HIV status, but when I go to the clinic, they tell me they want to test for [HIV]. And they want my husband to come with me, yet I can’t convince him to do so,” she said at her home in Kisumu, a city in western Kenya’s Nyanza Province. Atieno is too afraid of being stigmatized to get tested for HIV, and has never taken her child, now one year old, for testing. “When I go to the clinic, I just lie to them [that] I was tested when I gave birth,” she said. “The belief that childbirth in a health facility is only necessary for women who have problems and complications and is not needed for a ‘normal’ birth seems to be very widespread in the region,” Janet Turan, the study’s lead researcher, told. The study examined factors associated with anticipating and experiencing HIV-related stigma among pregnant women and their subsequent utilization of maternity services. It was conducted in Migori, a rural district in Nyanza Province where the HIV prevalence of 13.9 percent is more than twice the national average. 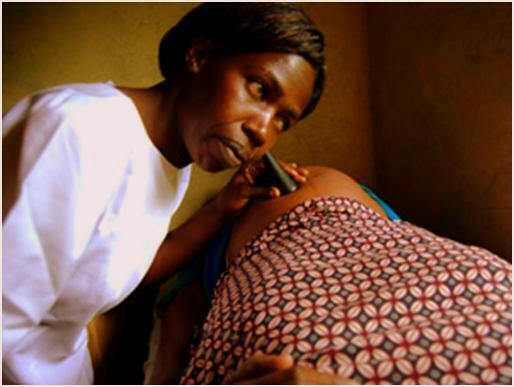 Some 35 percent of respondents reported giving birth at a health facility; 78 percent of those who did not said they delivered with the help of a traditional birth attendant.